How does inflation impact my standard of living?How much am I spending?How much do I need for emergencies?Should I pay down debt or invest more?How long will my money last?What is my current net worth?What is my projected net worth?What is my current cash flow?What is my projected cash flow?Value of reducing or foregoing expenses.Historical inflation - Compare purchasing powerShould my spouse enter the work force? How much should I be saving for college?Will I be able to pay back my student loans?Advantages of a 529 College Savings PlanWhat is the value of a college education?Advantages of the Coverdell ESA.What are the payments on a parental (PLUS) loan?Should I live on campus, off campus or at home?When should I begin saving for childs college? Which is better, cash up front or payments over time?What is the impact of making extra debt payments?How long will it take to pay off my credit card(s)?How long until my loan is paid off?What would my loan payments be?Do I have too much debt?What is the balance owing on my loan?Should I consolidate my personal debt?Re-structuring debts for accelerated payoffShould I pay off debts or invest the money? 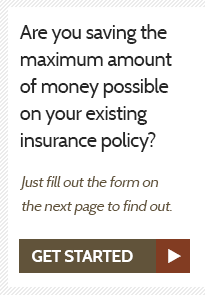 How much life insurance do I need?What is my life expectancy?How much disability income insurance do I need?What are the chances of becoming disabled?What are my long-term care insurance needs?How much will I earn in my lifetime?How long will my current life insurance proceeds last?Which is better, comprehensive plan or high-deductible plan with HSA? Should I pay discount points for a lower interest rate?Should I rent or buy a home?Should I convert to a bi-weekly payment schedule?Compare a no-cost vs. traditional mortgageWhat are the tax savings generated by my mortgage?Which is better, fixed or adjustable-rate mortgage?Compare an interest-only vs. traditional mortgageHow much home can I afford?Should I refinance my home mortgage (breakeven)?Mortgage calculatorComparing mortgage terms (i.e. 15, 20, 30 year)Adjustable rate mortgage calculatorHow do closing costs impact the interest rate?How much can I borrow from my home equity (HELOC)? Calculate rate of returnHow do taxes and inflation impact my return?What is my effective annual yield? How much should I save to reach my goal?What will my current savings grow to?How long until my savings reach my goal?Save now vs. save laterIncome generated by a savings plan.How long will it take to double my money?